A university technical college that has struggled to recruit students is opening an 11-14 feeder school next door. This comes despite opposition from opposition from the Baker Dearing Trust, responsible for overseeing all UTCs. The school, which will be called ‘the Inspiration Academy@Leigh UTC’ will open in September, operating on the same plot of land and directly opposite Leigh UTC (pictured above) in Kent. It will be run by the Leigh Academies Trust (LAT), which already sponsors 15 schools in Kent including Leigh UTC. The school will take 120 students per year who will follow a STEM (science, technology, engineering and maths)-based curriculum, and who will win an automatic place at the neighbouring 14-19 UTC. Leigh UTC has struggled to attract students on its own since opening in 2014. It is rated ‘good’ by Ofsted but less than a third of places are filled and it experienced a 17 per cent drop in student numbers this academic year. Stephen Leahey, who will lead both the UTC and the Inspiration Academy, said student numbers at the college “will go up as a result of the new school”. However the new system will go ahead without the blessing of the Baker Dearing Trust, which said it would not grant a licence for schools to operate as UTCs if they include students at key stage three, because “children should not be specialising under the age of 14”. It is this barrier which forced the Inspiration Academy to open as a separate school, rather than simply creating an 11-19 UTC. The trust sees the new system as a form of 11-19 UTC, though students are able to enter or exit the pathway at three ages – 11, 14 and 16. If students reach the age of 14 and do not want to continue at the UTC, they will be offered a place at one of LAT’s other secondary schools, which are all rated ‘good’ or better by Ofsted. But Kevin Courtney, the general secretary of the National Union of Teachers, said it “does not make sense” to base a new school around efforts to preserve a UTC. Mr Courtney added that “potentially limiting” the opportunity for a “broad and balanced” curriculum at age 11 is “a backward step”. But Mr Leahey said that while the new school will have a “specific focus” on STEM subjects, learners will be taught a “broad and balanced” curriculum and will study art, PE, languages, and a “healthy minds” programme. He told FE Week that children aged 10 and 11 already “have a passion for STEM” and it was a “no-brainer” to build a school that “meets that need”. 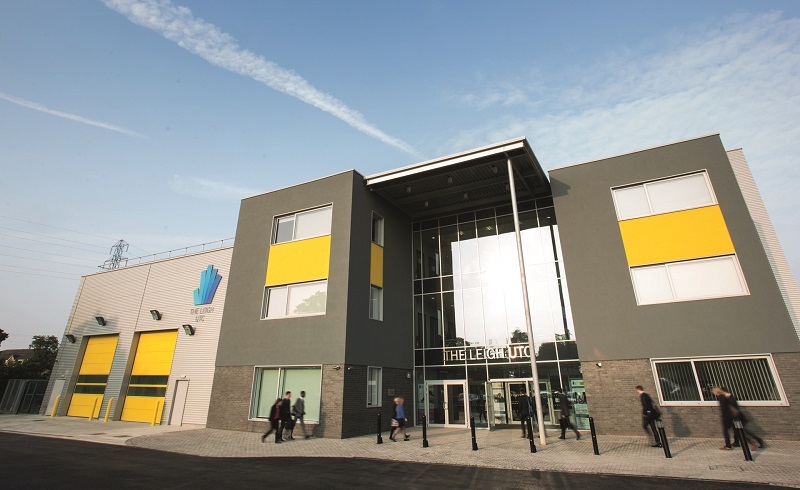 A spokesperson for the Baker Dearing Trust said it hoped many pupils from the key stage three feeder school would want to move to Leigh UTC but “we would not wish them to feel that they were obliged to do so”. The first cohort of year 7s at the new 11-14 academy will initially start in Leigh UTC’s building in September, with its new adjacent building due to be ready after Christmas.